Citizenship and legal status affected every aspect of Jewish life in the “Old Country”. 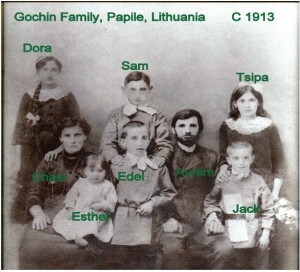 Follow a 100 year circular story of how Lithuanian national laws were misapplied causing multiple Jewish deaths in 1922 and how the same government repeated the identical behavior towards the same family four generations later. Follow the documented saga of deportations, starvation, massive death, abductions and movements of one Jewish family, and understand the implications of heritage citizenships for past, current and future generations. Speaker: Grant Gochin is a Litvak who has been researching his family history for the past 30 years. 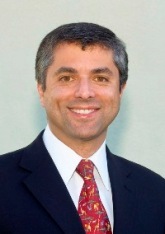 Professionally, he is a certified financial planner and a wealth advisor in Encino. He also serves as the Honorary Consul for the Republic of Togo and as secretary of the executive committee of the Los Angeles Consular Corps. He is married with one son.The traveling library will be available at 7:00 PM and refreshments will be served. JGSLA members are free, guests are $5.00.